Ah, it’s been a while. Been stuck with other posts that it’s been ages since I posted a food post, so here we go. After a long time, I was at Great Kebab Factory and for a change, this was the one in Radisson next to the airport (GST road) and not to the one in Egmore that I’ve been a number of times. My foodie pal Shabnam and I were invited to the Udta Ludhiana, the Punjabi food fest. 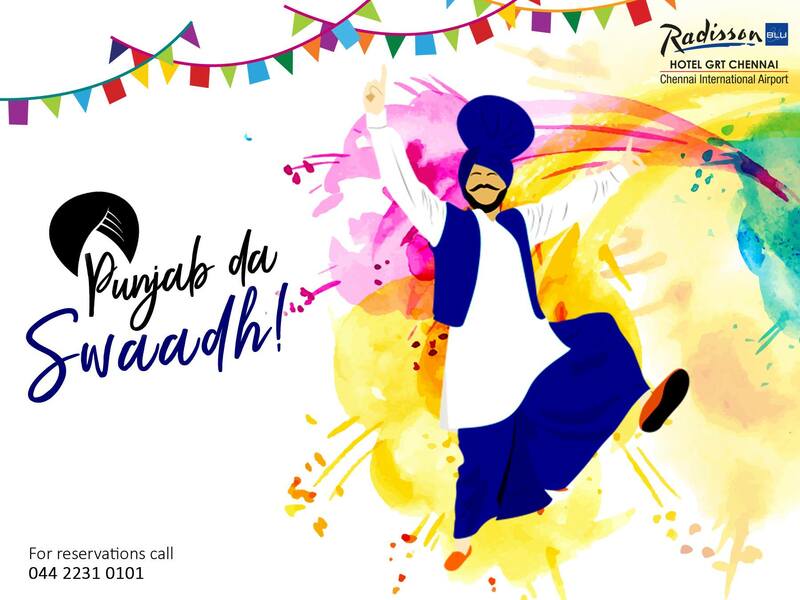 Chef Gurmeet Singh had come in all the way from Punjab especially for this festival and this post is about my experience at this fest. And oh, apologies for the low-res images. The lighting wasn’t good enough to use my DSLR (not that it would’ve created a humongous difference). An amazing aspect about this restaurant is the fact that they have separate kitchens to dish out the veg and non-veg food. And if that’s the amount of effort they take, one can be assured about the utensils and plates they use too to be segregated. I love how they bring in the ‘factory’ aspect by making the cutleries heavy and tools shaped and their menu – designed similar to that of a factory supervisor’s checklist. Even the staffs here wear uniforms that are similar to the ones one would find in places where heavy machinery is used. Even our napkins are replaced with aprons. 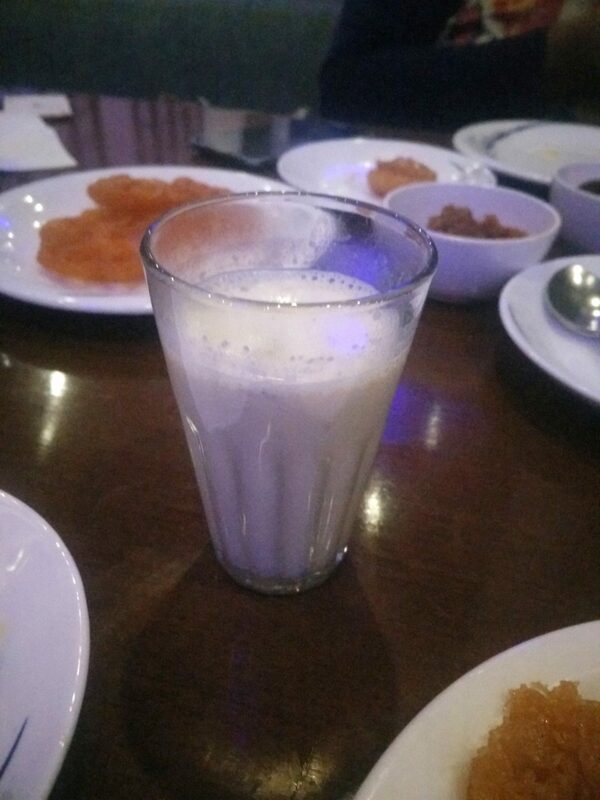 No Punjabi meal is without a good portion of drinks to push down the amazing food and we were given some thirst quenching Lassi and Rose milk. Both were rightly sweetened and did the job perfectly. As in any kebab restaurant, the starters are the show-stealers here too. 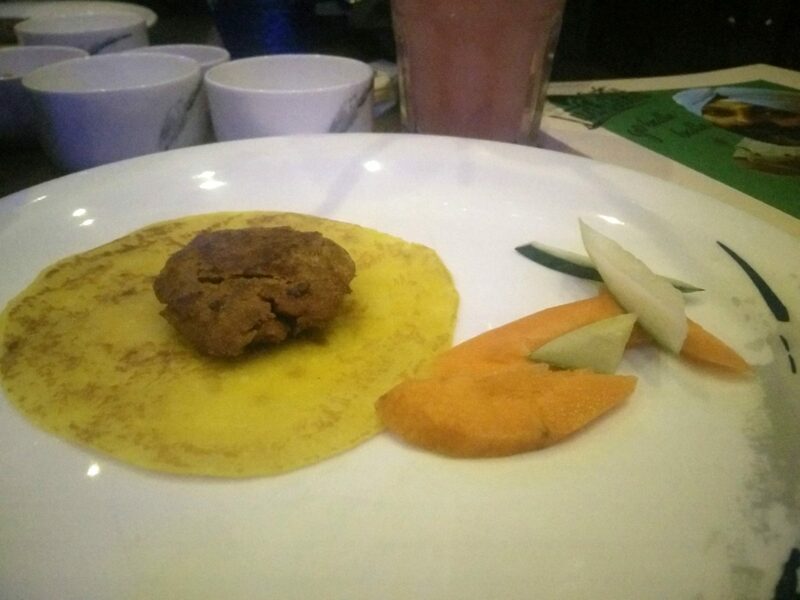 The Gosht Galouti – minced mutton with added spices – was a perfect start to our evening. The meat had the melt-in-mouth consistency and went extremely well with mint chutney. The Sonth Machi Fry was a perfectly fried fillet of fish with the right ingredients. Lawrence Road Chop was a well marinated lamb chop portion that had a nice ‘kick’ of spices. The Tangri Pindiwali too was one of our favourites. The other dishes were good too and the staffs made things more easier and of course, yummier by explaining which among the four chutneys would go well with them. And oh, not to mention their special papads that are made the traditional way by drying the dough on rooftops. It was out of this world. As you would’ve figured out by now, we were almost full by the time we got to mains. It was certainly the love for biriyani that had me going 😛 . Before that, we tried a couple of their gravies which went really well with the Indian breads. The paneer was extremely good and had me ask the manager on where they source it from. It’s one of the best I’ve had in town tbh. Even the simple chicken curry was lip-smackingly good. Finally, I got hold of my biriyani which happened to be made from minced lamb. 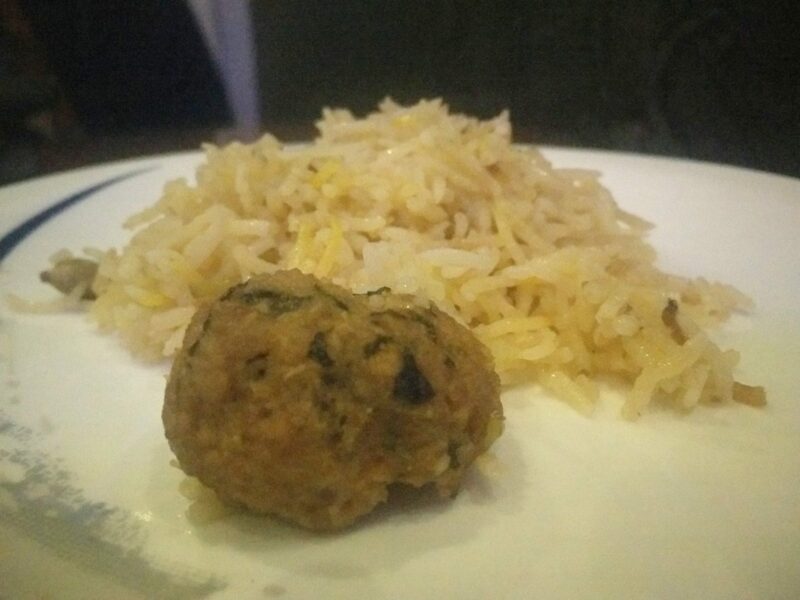 Though the lamb mince didn’t taste appetising, the biriyani was excellent. In a state where biriyanis are loaded with masalas that test the strength of our taste buds, this lightly spiced and pleasantly tasting biriyani deserves a warm welcome. Now this is a section that gave me my default favourites as well as shocked me with some mind-blowing dishes. The ‘regulars’ were very much present. 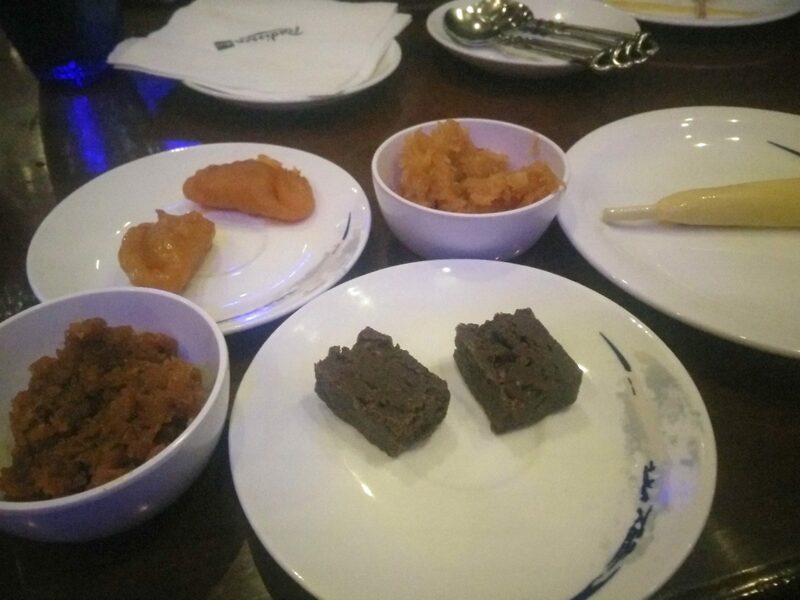 There were the kulfis, Moong dal and Gajar ka halwa, and brownies. They did their job precisely. 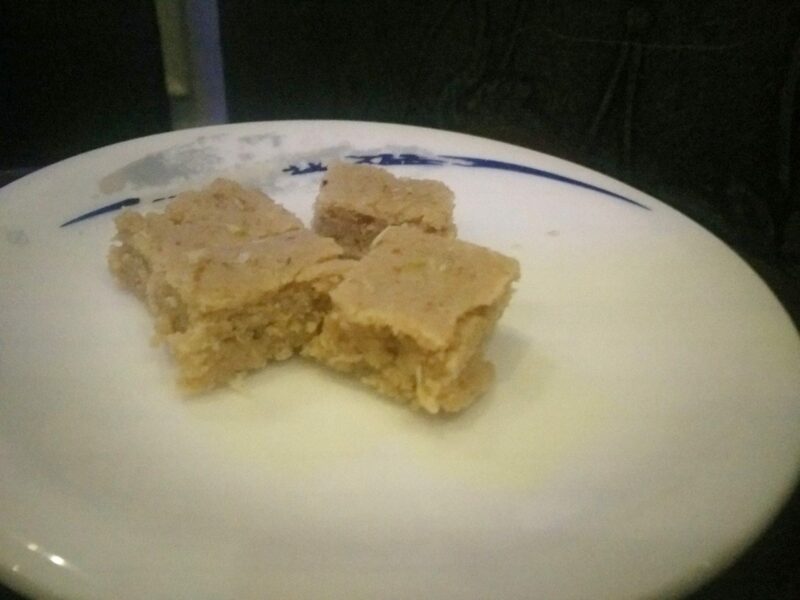 But what blew us away were their Chicken Barfi – yeah you read that right. If they hadn’t told us what it was, it would’ve been quite a challenge for someone to figure out what went into it. Once you bite into it, the sugar dissolves in your mouth leaving the finely minced chicken meat to hit your teeth. And once you chew it, that’s when the meat’s flavour kicks in. It’s truly not for the faint hearted. 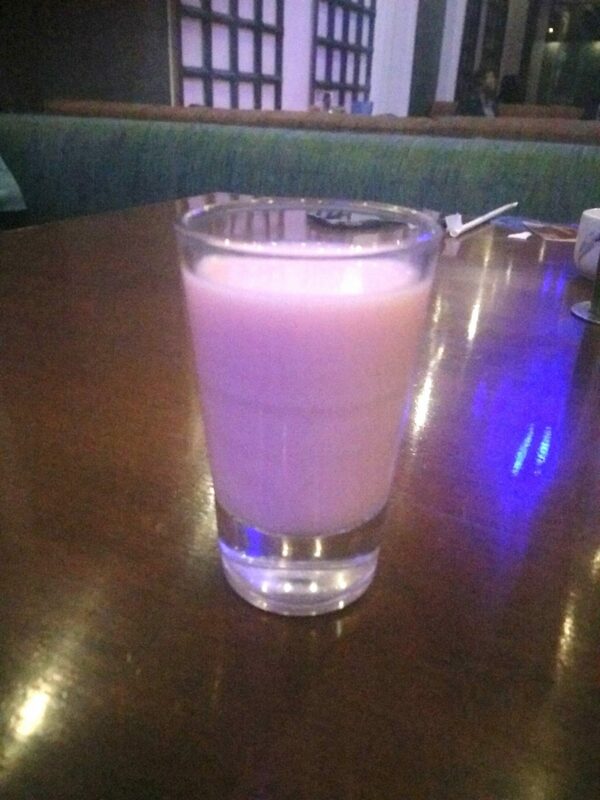 The amazing meal ended with Masala Doodh that was so good that we finished it in one gulp. With amicable service and pleasing ambience, TGKF is definitely a place that warrants a visit. Price: ₹1500++ for Vegetarian, ₹1750++ for Non-Vegetarian, ₹2050++ for combination of both Vegetarian and Non-vegetarian dishes.